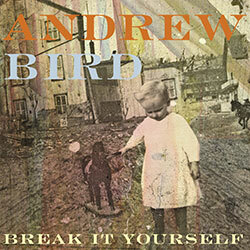 Liner notes: Hitching his wistful voice and elegant violin to a jaunty tempo suggesting an Appalachian hoedown, Andrew Bird evokes a sense of restless longing on this album, his 12th. Behind the music: The Chicagoan employed his classical violin skills on collaborations with the throwback Southern combo Squirrel Nut Zippers during the ’90s. More experimental in his own work, Bird recently appeared on the soundtrack for The Muppets performing “The Whistling Caruso” and scored the indie film Norman. Check it out if you like: Justin Vernon (Bon Iver), Sam Beam (Iron and Wine), and David Byrne—smart, sensitive eccentrics all.